As a farmer in Tanzania, she produces between 300,000 and 400,000 vegetables each week. Emma works extremely hard, digging trenches and harvesting her crops by hand. Chief among her crops is one that millions of people around the world find extremely valuable– coffee. Coffee is valuable to Emma, though perhaps for different reasons. While many people rely on coffee to fuel their work, coffee is her work. 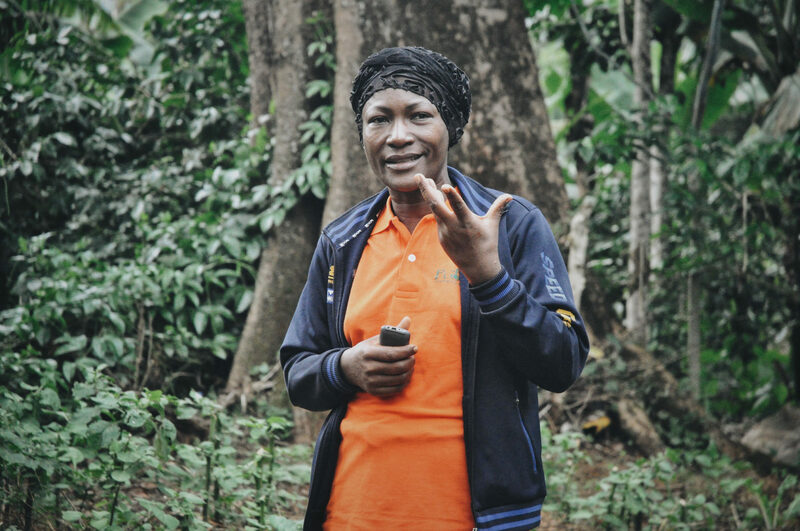 The income from her coffee plants are what she relies on to provide for her family. 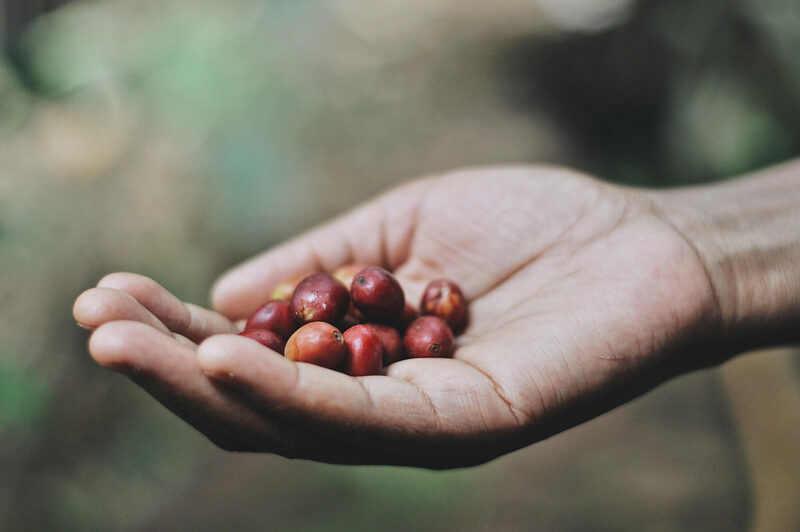 A batch of raw coffee beans picked from Emma’s farm in Tanzania. A few years ago, things suddenly got much harder for Emma. Emma shares her experiences with her Farmer Field School. 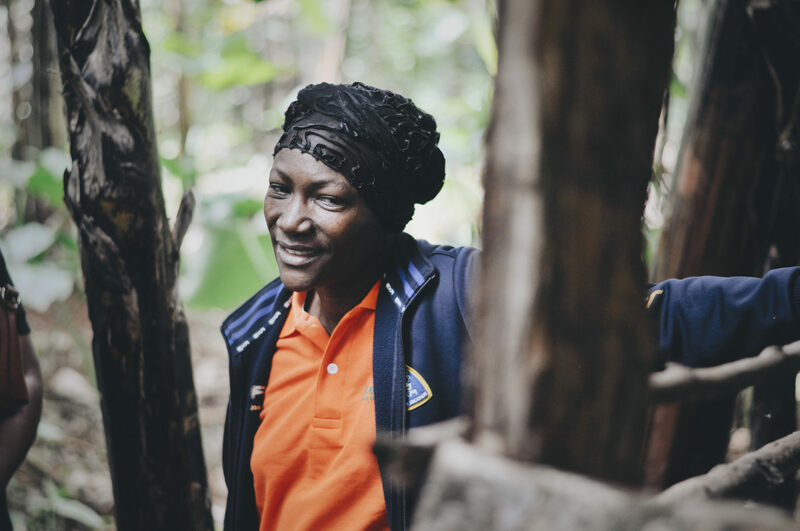 Her hard work plus Plant With Purpose’s support changed her future. Emma joined a savings group that allowed her to take out a loan for her children’s school fees. She began to attend a farmer field school. She learned sustainable farming techniques. These methods allowed her to grow more crops while at the same time restoring the environment. “I learned organic farming, how to make compost manure, and how to prepare double dug beds,” she recalls. The loan provided new opportunities. The new techniques allowed her to repay that loan quickly, while nourishing her soil for lasting sustainability. All this was fueled by one of Emma’s strengths that she engaged from the very beginning: her willingness to work as hard as needed. All this paid off to create a better future for Emma’s family and village. The soil around Mount Kilimanjaro has since improved. Reforestation efforts have helped to stabilize its climate and snowcap. Emma’s kids have a brighter outlook as well. She was able to put all three of them through school in Dar Es Salaam, providing even more opportunities for the next generation. The people most affected by deforestation and unstable climate in places like Mount Kilimanjaro are the ones who live there and rely on the land for a living. Interventions like Farmer Field Schools and Savings Groups are key for farmers like Emma becoming empowered to restore the land and create better futures for their children. To empower mothers like her, consider becoming a Purpose Partner for just $22 a month!